It's almost time for bed, but Luis is staring out the window at the starry sky. Any minute now, he's expecting a space ship to pick him up and whisk him to outer space. While he waits, he imagines the strange creatures he'll encounter. Will he find a robot friend? Will he get to fly though space with a rocket-pack? Will he meet . . . aliens? Get lost in outer space as you pore over pages filled with dozens and dozens of robots and aliens (some new and some that might be familiar). 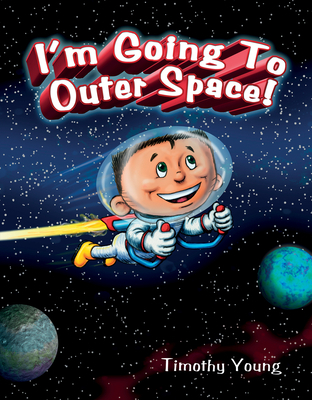 Join Luis to find out all the incredible things he expects to see and do on his daring journey to a distant planet. Timothy Young has been an animator, puppet maker, toy designer, sculptor, art director, and graphic designer. He is the author/illustrator of picture books including the highly acclaimed I Hate Picture Books! and the middle readers' book, Just One Thing!